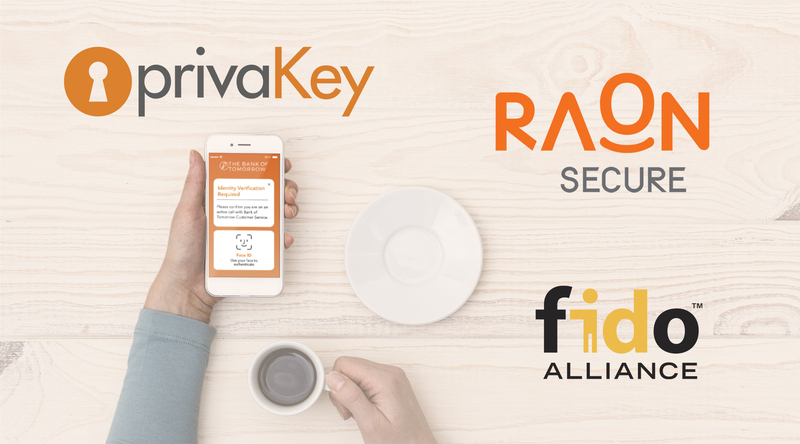 Privakey is pleased to announce a partnership with Raonsecure, a Seoul based ICT integrated security company and board member of the FIDO Alliance. The partnership will bring a combined technology solution to the North American market, which includes Privakey’s secure, push authorization platform and Raonsecure’s full suite of FIDO certified authentication products. The joint solution will enable clients to deliver exceptional experiences secured by asymmetric cryptography and enable the extension of biometric identification to many new touchpoints. Customers will enjoy eliminating passwords, SMS one-time passcodes and knowledge based authentication from their daily interactions with their banks, healthcare providers and other services. Raonsecure is proud to boast over 30 million South Korean users with vast adoption in the consumer banking and payments industries. Stay tuned as we plan to share more information in the coming weeks our solution and industry use cases. Privakey’s embedded software solution transforms existing mobile apps into strong customer authorizers, streamlining many existing workflows. Services use Privakey to send users challenges—a new form of secure engagement within apps. Challenges include traditional identity assertions, confirmations of intent and any type of message that may require a response. Challenges can be as simple as a Yes/No response from a user, to as rich as digitally approving actionable contract terms. Our solution works by turning users’ mobile phones into cryptographically-based, secure customer identifiers. Customers using Privakey-enabled apps simply respond to challenges delivered to their phones with a message body that can contain any type of interactive digital content such as HTML, PDFs and forms. Once the user has responded to a challenge, it is digitally signed and returned to the sender. To ensure a frictionless, but secure user experience, challenges can be configured to require a user assert a biometric or PIN as a second factor of assurance. Raonsecure Co Ltd (Raonsecure) is one of Korea’s leading ICT security software companies – providing a variety of PC and mobile security solutions to financial institutions, government, and enterprise both on premise as well as in the cloud. Raonsecure supplies security products and solutions, as well as ICT security consulting services to more than 500 customer organizations and its products are used by more than 30 million users. Joining the FIDO Alliance in 2015, Raonsecure launched its TouchEn OnePass biometric authentication solution with the first group of certified FIDO products in May, 2015. Since that time, it has deployed biometric authentication for numerous banks and financial services institutions in Korea. The company has also expanded internationally, with offices in the USA in San Jose, CA and Austin, TX.